A truly special release lands on Abora Recordings, courtesy of Night Sky featuring Sonia Suvagau: this is "To Be Who We Truly Are". The original mix of this release is a brilliantly creative and hybrid genre piece that can best be described as a cross between the spoken word genre and the symphonic music. It consists of beautiful words and a dramatic monologue by Sonia Suvagau blended with background music that consists of a melancholic piano piece and light symphonic music from Night Sky. 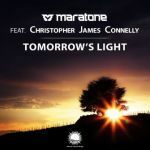 The rest of the release consists of fantastic orchestral uplifting and uplifting trance. We are happy to present to you these very special remixes from the well-known Afternova. The latter brings out the best of both worlds by combining the original mix excerpted as the breakdown with some emotional and pounding uplifting trance beats. He brings out of these straightforward original words a truly unique set of mixes, including club and radio edits. This release from Night Sky and Sonia Suvagau marks a brilliant musical innovation, combining a new concept of spoken word fused with symphonic music for the original mix and then euphoric and uplifting trance for the rest of the release. We hope you'll enjoy this as much as we did!